ABC Languages is accredited by ABLS, a government-approved body which assures quality in the private language teaching sector, and compliance with the law and government immigration policy. Group Study Holidays for school and agency groups from 14 years old. Full or part-time, group study or 1:1, or even mix your options – group sizes are small, timetables flexible, we have teachers for professional specialisms. ​If you’re over 18 you can take a course at ABC at any time of year. With a Total English course you study in the mornings Monday to Friday. Total English Plus combines our Total English course with private 1:1 lessons. This course gives you the opportunity to study more intensively, focusing on whatever is most important to you: passing an exam, improving your pronunciation, writing business reports... It's your time, and the choice is yours too! ​Start any week, stay for just one week or all nine! 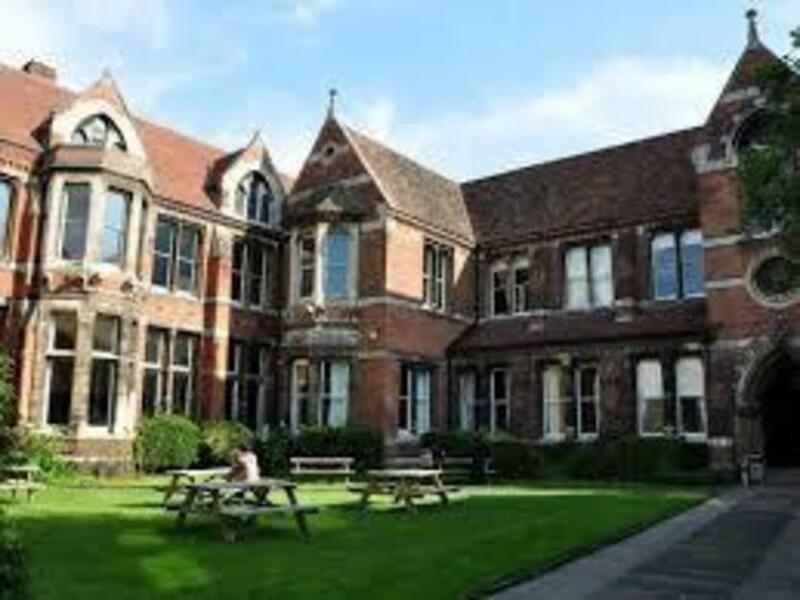 Our school in the Cambridge Union Society on Bridge Street, is steeped in 200 years of Cambridge history. There is a café/bar on site and access to free wi-fi in all the rooms. From our location you can discover and explore the historic city centre, many cafés, shops, and museums, and benefit from the super city centre transport connections. There is plenty of room for lively, active lessons, with audio-visual equipment and space for indoor games and drama. We have several large, open parks on our doorstep, which we use for active learning, sports and recreation. ABC Languages' Junior Summer School is open to students between the ages of 5 and 15. Children from 5-10 join our special Early Learners groups. If you really want to maximise your English, you can add afternoon 1:1 lessons for some intensive practice. If you’re 16+ and not staying with your own family or adult friends, you can stay with one of our friendly, caring families. ​If you are coming alone you can stay in a single room, or two friends or relatives can share a twin room. All accommodation includes breakfast, evening meal and laundry as well as a VERY warm welcome! If you are under 16 you must stay with your own family, or friends approved by your parents – for example perhaps your parents have come to the University for the summer or you might be visiting your aunt and uncle here in Cambridge. Or maybe you’ve been invited to stay with some friends of your father’s. Our parent and child summer courses are perfect for a family holiday in Cambridge. Each year in summer, your family can visit the beautiful historic sights, learn English and experience summer in Cambridge – a great place to study, explore and relax. Parents and teens 16+ years old can join any of our adult courses which run all year round. Children (aged 5 – 15 years) join our popular junior Summer School. Our flexible course options mean that you can choose to study as much or as little as you like and leave time for sightseeing as a family. In the summer our adult and junior timetables are co-ordinated to make sure the whole family can learn English at the same time and easily meet up at the end of lessons. Weekend excursions available to book on site. There’s a range of accommodation to suit all tastes and all budgets – check the accommodation page.